The classroom is packed up and summer is officially happening! I love my job, but summer is my favorite time of year and we all need a little break to regroup and get reinspired! 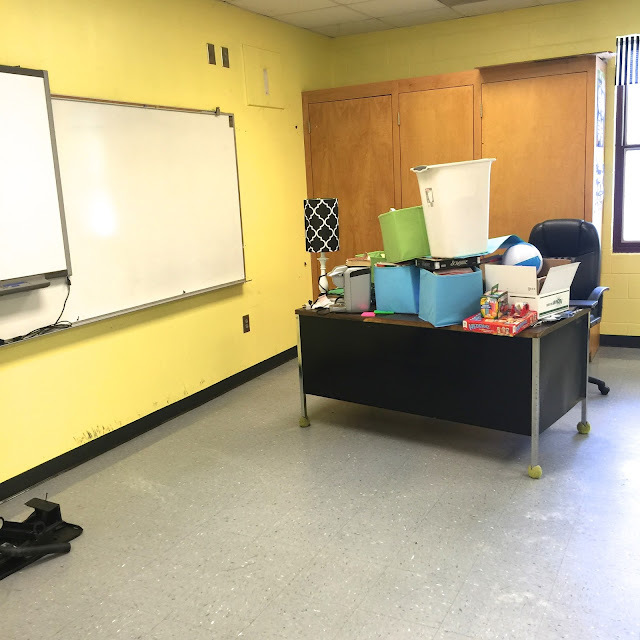 Do y'all have to pack up your classroom each year? We always do because they wax the floors during the summer, but I'm painting this year so I had to take everything off the walls. I'm basically starting from scratch, which is kinda scary! 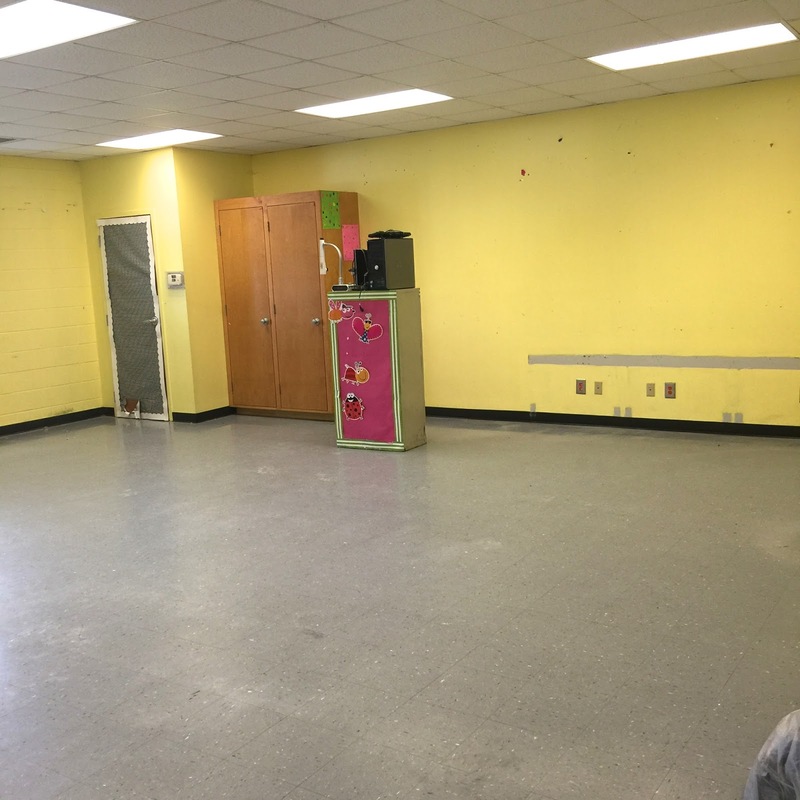 I love the yellow walls, but I've had them for 6 out of the 8 years I've been teaching and I'm ready for a change! See that strip of gray along the right side of the wall? There were built in computer tables there for back when we had desktop computers. Since we are now 1:1 Chromebooks, I decided to remove the tables and make my reading area in that corner. I think it looks SO MUCH BETTER! I can't wait to fill that wall with bookshelves and rugs! Enjoy your summer! Are you participating in a book study this summer?